My sister-in-law brought me back a lovely bag full of Kazuri beads the last time she visited Kenya! Since they were not matched sets, but rather just a large pile of random beauty, it took me some time to figure out what I wanted to do with them. 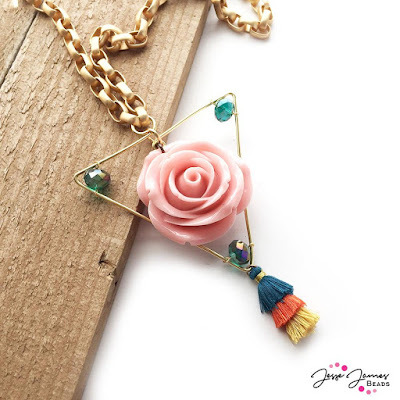 I was guided by my desire to string them, but in such a way that my final necklace would have interchangeable segments. This is what I came up with! 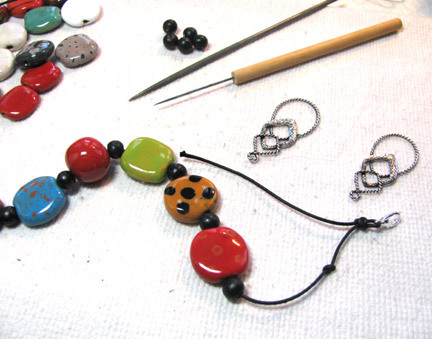 I used a thin black cord to string my beads, alternating the Kazuri beads with small black wooden rounds. You can google "Kazuri beads" to find many sellers...I don't have a particular one to suggest, but please try to buy them from a legit fair trade company that actually benefits the makers. 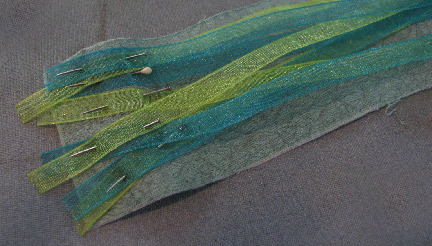 I finished each strand by threading it through a lobster claw clasp and adding a few smaller beads to the tail. 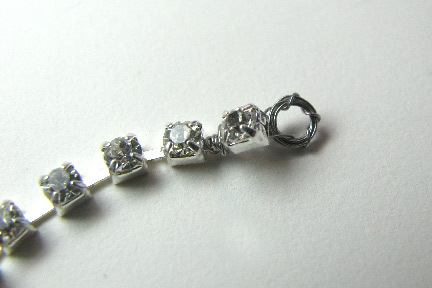 The transitional components that I used to link to the chain strand are two earring findings! 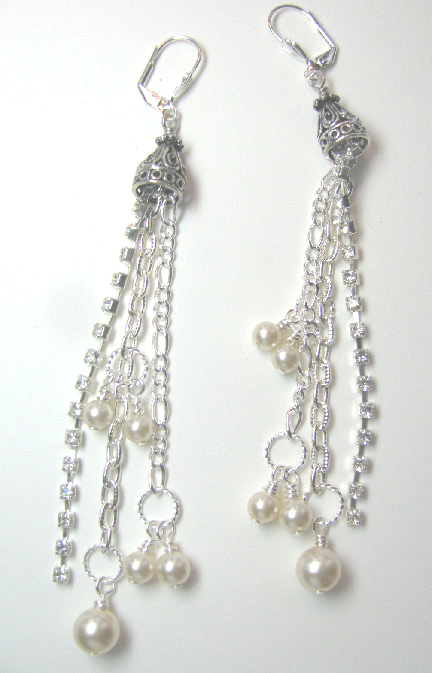 I used two twisted wire jump rings to attach a length of curb chain to the two earring findings. 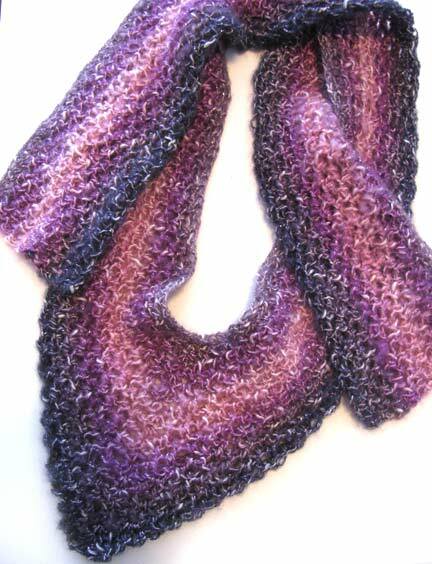 Then, of course, I had to make a couple more strands! Copyright 2018 Cyndi Lavin. All rights reserved. Not to be reprinted, resold, or redistributed for profit. May be printed out for personal use or distributed electronically provided that entire file, including this notice, remains intact. My instructions below are pretty abbreviated. 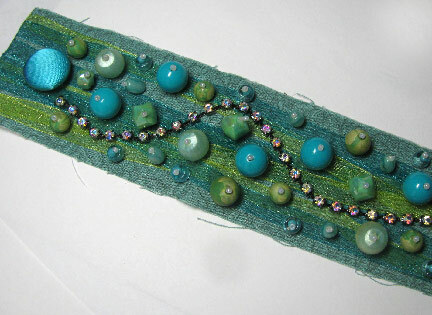 If you need more detailed step-by-steps, please visit my page of bead embroidery e-books. 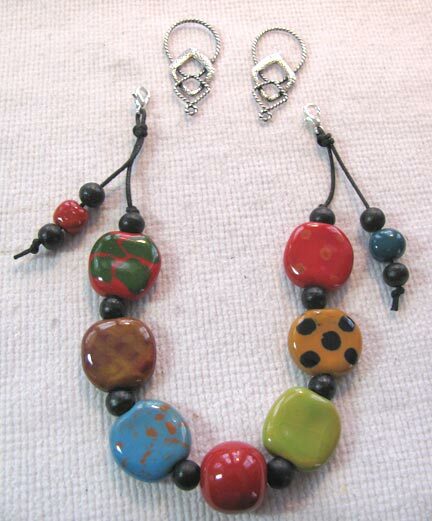 The first chapter of the first book, Every Bead Has a Story, is free. 1. Pick a fabric for your foundation that will not compete with the ribbons. Cut out a rectangle that will wrap your wrist by at least 1/2 inch. 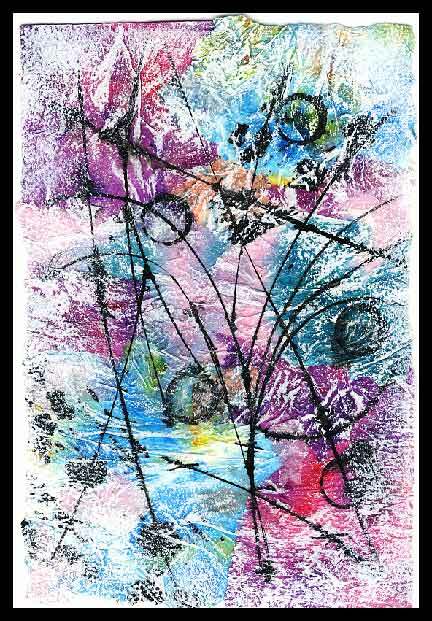 Back the fabric with fusible interfacing and top it with fusible web. 2. 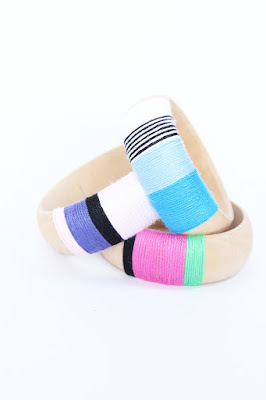 Cut ribbons about an inch longer than your fabric and pin them in place, criss-crossing as you choose. 3. Iron the ribbons to the fusible web. 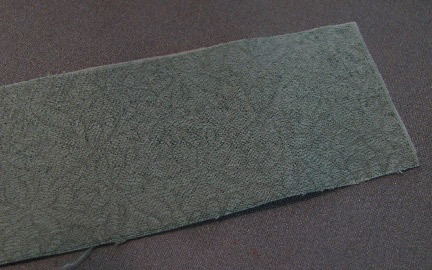 Wrap the ends to the back, stitch in place using the matching sewing thread and tiny stitches. Trim the ribbon ends. 4. Stitch the shank button into place so that the bracelet fits your wrist with some give. Add the cup-chain, pinning and then stitching it into place. 5. 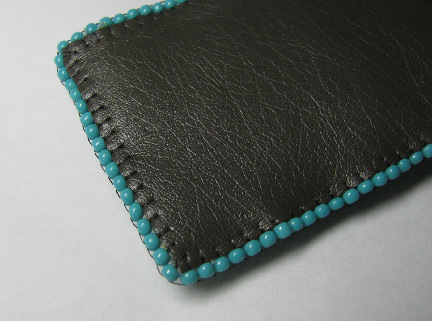 Add accent beads, stitching them into place with stop-stitch beads. Cut some scraps of ribbon and loop them to form the "hook". 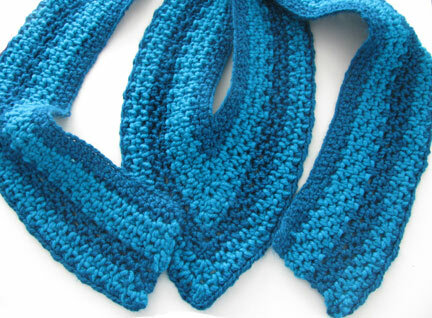 Stitch them into place on the end opposite the button, adjusting their length until the bracelet fits, still with some give. 6. 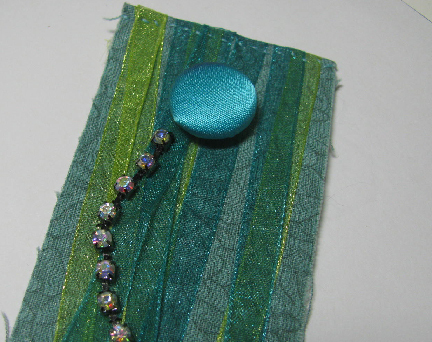 Cut a piece of backing fabric to match the top and pin into place. 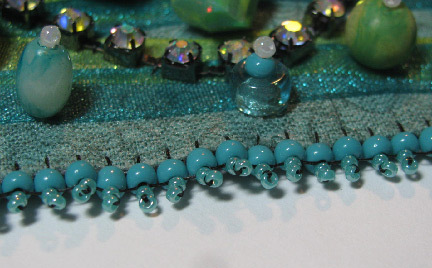 Using size 11/0 seed beads, stitch edging brick stitch all around the bracelet. 7. Add stack stitches to each edge bead except for the area near the button which will underlap the end with the ribbon "hook". 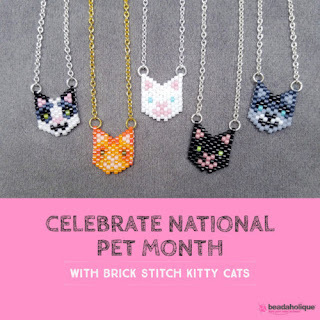 Step-by-step instructions for back stitch, edging brick stitch, and stack stitch can be found in the free first chapter of Every Bead Has a Story. Copyright 2015, 2018 Cyndi Lavin. All rights reserved. Not to be reprinted, resold, or redistributed for profit. May be printed out for personal use or distributed electronically provided that entire file, including this notice, remains intact. 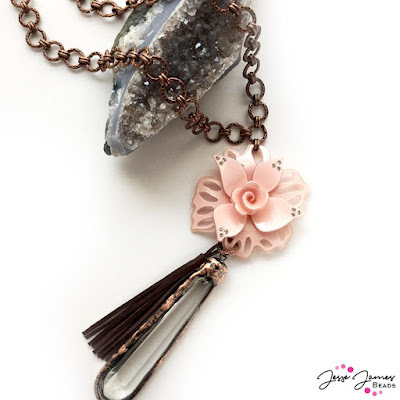 I found another necklace that I made many years ago, and was thrilled to see how well it went with the Spring/Summer palette from Pantone. What *really* thrills me about it, though, is that these are colors I already like and have in my wardrobe! After several seasons of being kind of disappointed except by maybe one or two colors, I'm a very happy girl. The tutorial is in two parts. The first part shows you how to make the lampwork glass rings that are actually torched using the key as a mandrel. 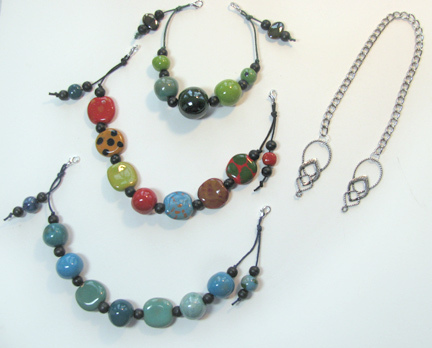 If you don't do lampwork, you could use metal rings instead, easily available online. 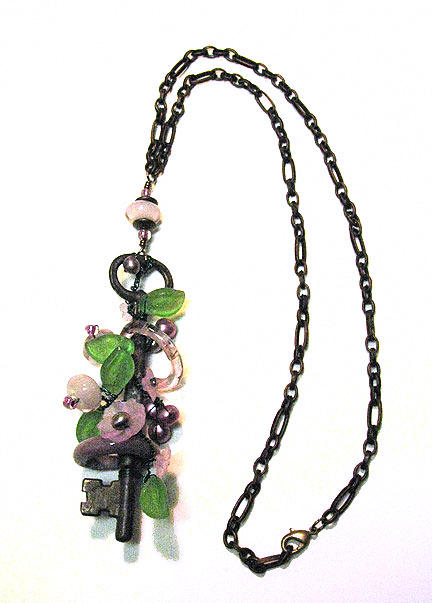 I'm sure you can find some that will fit over the teeth of your key, whether it's real or a reproduction key. The wiring will keep it from slipping off even if it's a bit too big! 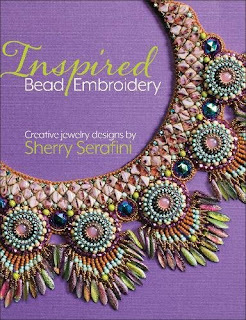 And along comes the highly anticipated third offering from Sherry Serafini: Inspired Bead Embroidery. Do we like it? Drum roll please...well, duh. Of course! If you happen to have Sherry's other two solo books (listed below), please don't think that this is just more of the same. Some of it is repeated...the basics are pretty much the same...but there is a greatly expanded section on creativity where Sherry spends more time than ever before explaining the different pathways into designing that you can choose. For example, sometimes you feel like planning and sometimes you don't. But if you always want your work to turn out fabulous, you need to take certain things into consideration, and Sherry shares all of them with you. The projects are wonderful. 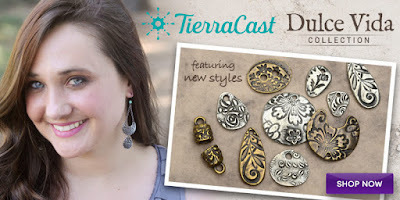 Sherry tells you right up front exactly what bead styles, color, and sizes she has used, but she also encourages you to take off in your own direction. The focals that are used are original, fresh, and handled beautifully. Even if you don't want to use the exact same materials shown, you are sure to gather lots of new ideas to try out. 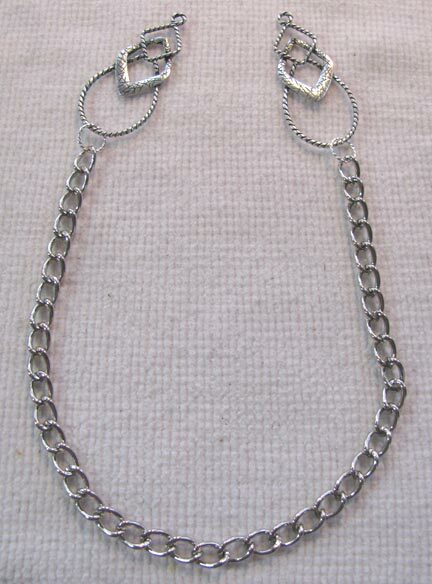 Lots of shaped beads and chains make an appearance too, including the ever-popular rhinestone cup chain. 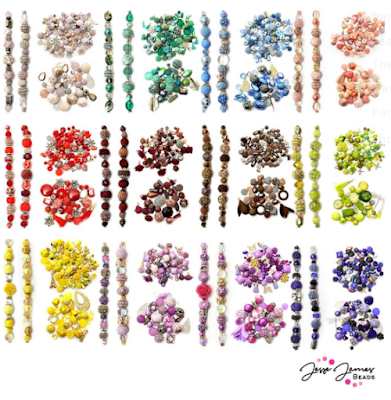 Personally, I have been a bit discouraged in recent years how shaped beads have almost completely taken over from regular seed beads in beadweaving projects. 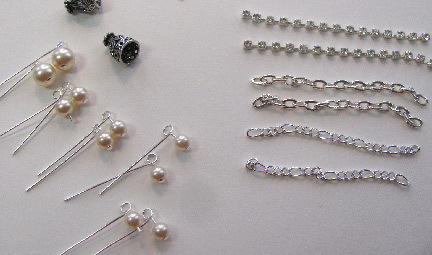 The use of them in bead embroidery, however, is a trend that I am fully in favor of! 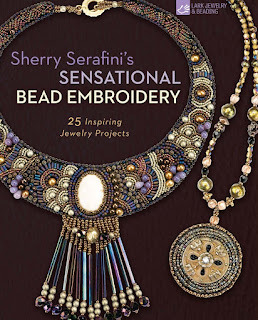 One of the queens of bead embroidery, Sherry Serafini has been tapped to write one of the Beadweaving Master Class series for Lark publications. Sensational Bead Embroidery joins the series with 25 beautiful projects that she leads you through step by step. 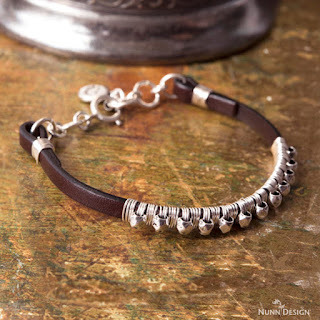 Sherry covers all the fundamentals of tools and materials that you'll need to know to start stitching. Many of her elaborately textured and beaded neckpieces are featured in this volume, and there is a gallery filled with a virtual who's who of bead embroidery masters: Diane Hyde, Heidi Kummli, Yoli Pastuszak, NanC Meinhardt, and more. As with all the books in the Master Class series, a serious beginner will find the book enthralling. Intermediates and advanced practitioners will find much to challenge and inspire. Altogether, I recommend this book as much for its inspirational value as for its clear teaching. 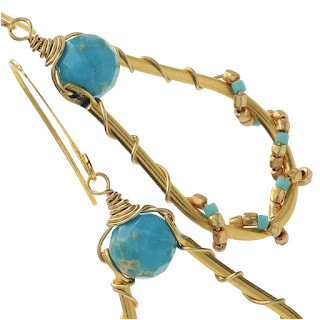 Longer earrings are all over the runway for Spring and Summer. I never really thought they went out of style, but sometimes they just seem more ubiquitous. Now is one of those times! These shoulder duster earrings could be made longer if you like, or shorter if you're more conservative. 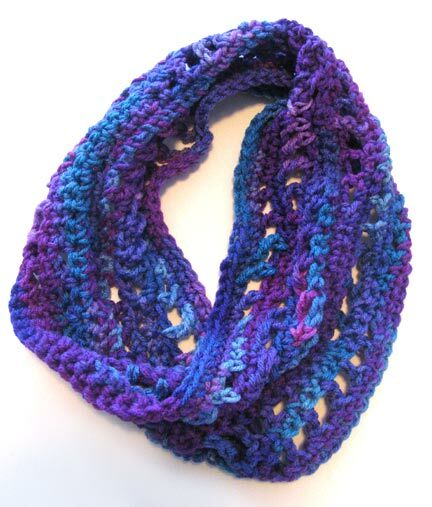 How about making them with fewer strands? With different colors of stone chips instead of pearls? 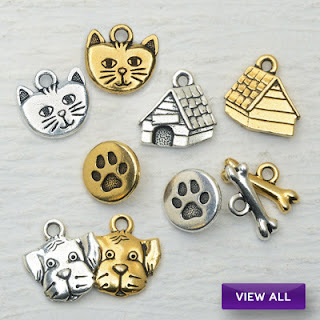 In gold, brass, or copper instead of silver? A mix of metals? With fibers added?? Oh my! I'm inspired now...how 'bout you? 1. Cut your chains to the lengths you desire. I chose to cut mine between 2 1/2 and 3 inches. 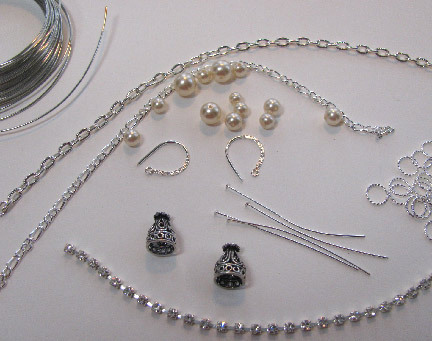 Put each pearl on a head pin and turn a wrapped loop. 2. Use thin craft wire to create a loop for the cup chain. Wrap around the last link and turn a small circle around the narrow end of your round nose pliers. 3. Turn the beginning of a wrapped loop on the end of a 3 inch piece of craft wire. Pick up the chain ends and close the loop. 4. 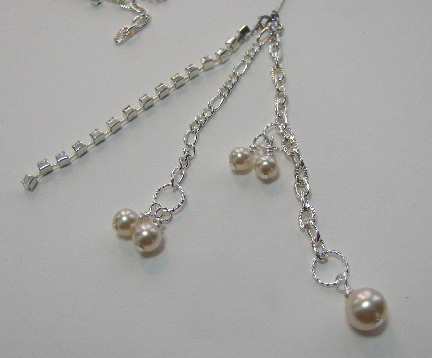 Add the pearls using decorative twisted jump rings. 5. Thread the wire up through a bead cap and turn another wrapped loop, adding the ear wires. I decided to use slightly heavier ear wires than are pictured in the materials shot near the top. Style is up to you! Copyright 2014, 2018 Cyndi Lavin. All rights reserved. Not to be reprinted, resold, or redistributed for profit. May be printed out for personal use or distributed electronically provided that entire file, including this notice, remains intact. Carved hot glue sticks "crystals" tutorial Yes, really! 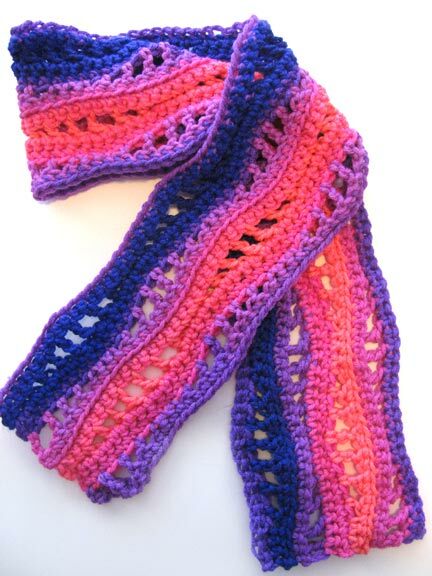 I found my production level starting to slow as March approached, but I was still churning out more scarves than I had friends to give them to! 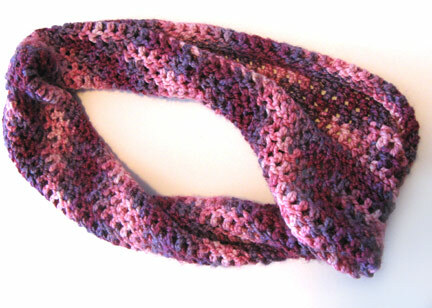 I made countless infinity scarves (aka mobius scarves), using double crochet, netting, or any combination of the two. Eventually I settled on the wave pattern shown at the top of the post, and made half with the waves going lengthwise and half with them going crosswise. I'm now officially obsessed with waves too! Somehow I didn't end up getting a picture of one of them where the pattern goes crosswise! These were really fun and easy to make. 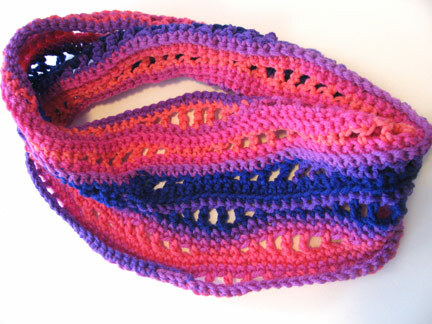 I made two in super-bright colors (not shown) for my grandchildren. 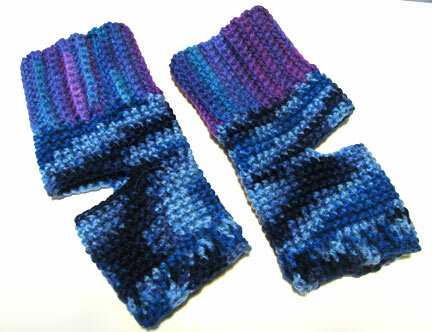 You can make these in stiffer yarn, like above, or extra-soft yarn like below. My final obsession was to make these yoga socks, with the heels and the toes uncovered. With only a few tweaks (make the ribbing taller and the under-the-arch section shorter, you can easily make them into boot toppers. I made a half dozen, I think, but neglected to photograph all of them before they left the building!